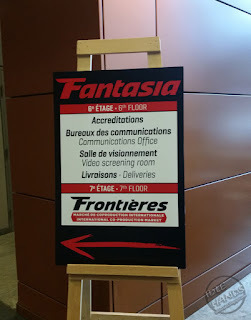 Idle Hands: Fantasia Film Festival 2015: It's Demons Vs Metal in "Deathgasm"
Fantasia Film Festival 2015: It's Demons Vs Metal in "Deathgasm"
I arrived in Montreal at an ungodly early hour, thanking my good luck for having a great friend willing to pick me up at a time I'd normally want to be seeing nothing but the insides of my eyelids. I haven't been to my hometown in 2 years, so I need to do many things and see many people while I'm here, but first, I'll recharge my social batteries with a friend and have some excellent food. After a lengthy visit, I took care of a few things and took a 2 minutes nap. Oops, I mean 3+ hours nap. 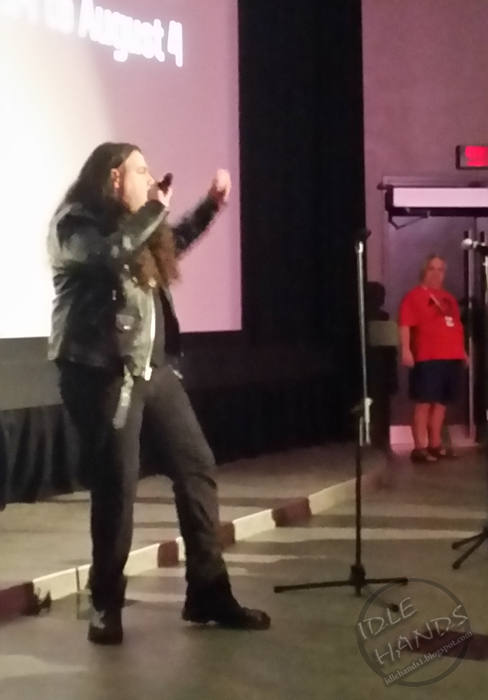 This lead to a mad rush to get to the Hall theater to go see "Deathgasm", a heavy metal horror film from New Zealand. Due to my accidental extended nap, there was no time for diner, so a small popcorn and a water bottle would have to tide me over. Once seated at the very last minute, I was ready to take it all in. Do you like heavy metal? Yeah! So you like gore? Yeah! What about Dungeons and Dragons? 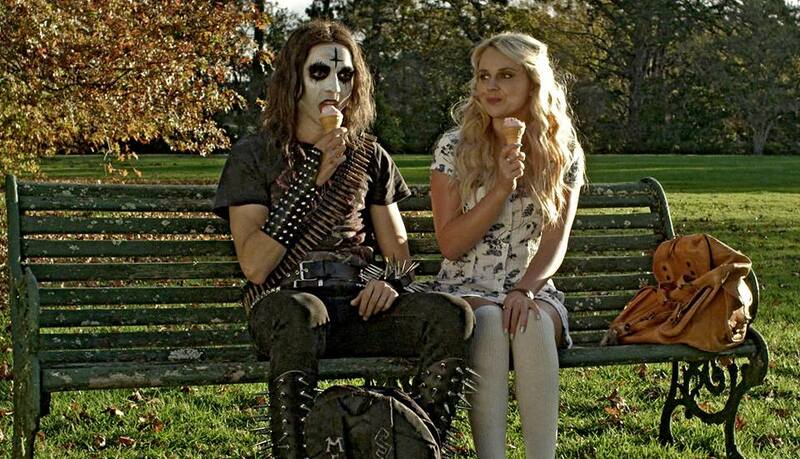 Umm... Then Deathgasm is for you! It's loud... it's gory... it's fun. A new student in town creates a band called Deathgasm, along with the local bad boy and a couple of nerds. After they obtain sheet music for the most brutal, most metal song of all, they play it as best they can and unwittingly unleash demons! Do these evil creatures promise fame and fortune? Sadly, no, but possession is on the menu. From this point, all hell breaks loose (pun intended) and the real fun starts. this gorehound. Deathgasm is the kind of movie where, after watching, you call up 10 friends and plan a party. It must be shared by all...preferably with alcohol. Plans for Day 2: Fruit shopping (yeah!) and screenings of We Are Still Here and I Am Thor at 2015 Fantasia International Film Festival. Keep watching for more coverage and thanks to the festival for access!